Not a fan of the color of your outfit? Didn’t get the color you wanted from the Rainbow Box? No worries, we’ve got you covered! 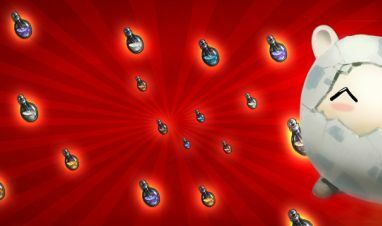 Until October 21, 23:59 CEST (02:59 p.m. PDT), you no longer have to rely on your luck in getting the legendary or rare dye colors you need from the Rainbow Bow! You can now get the color you want from a choice of legendary and rare dyes. Learn more about what we have in store for you this week! Don't let this amazing offer pass you by...because you're worth it! Monday Madness - Live in Color! Color your outfits this Monday madness with our Live in Color dye sale! Color your outfits today with our Live in Color dye sale!